Harvard Management Company will lay off approximately half of its 230-person staff by the end of the calendar year in the genesis of a five-year overhaul of the world’s largest university endowment. UPDATED: January 26, 2017 at 4:23 p.m. In a message to Harvard affiliates Wednesday, N.P Narvekar—HMC’s newly-installed CEO—outlined his plan to revitalize the University’s underperforming investment arm, announcing that the company would move to eliminate its internally-managed hedge fund teams by the end of fiscal year 2017, among other reforms. Narvekar’s announcement comes as HMC attempts to improve its investment performance—which has lagged behind that of its peers in the last few years—and represents a monumental shift in the way the University invests its 35.7 billion endowment. 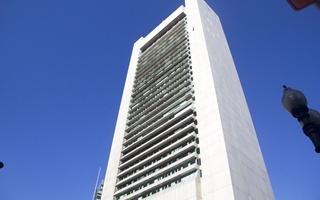 The University has historically employed a unique “hybrid” investment model, in which HMC retains a large internal staff in addition to hiring outside money managers. But in a stark shift, Narvekar has moved to abandon HMC’s investment model and instead mirror investment practices in place at many other universities. Beyond laying off more than 100 employees, Narvekar will also direct HMC to approach a broader investment strategy. In his letter, he wrote that HMC will ease its strategy of “silo investing,” in which its employees specialize in various asset classes, and move to a more “generalist” model focusing efforts on overall endowment performance. Narvekar, who formerly managed Columbia University’s endowment, was hired in September 2016 to succeed Stephen Blyth, who resigned in the summer after taking a medical leave of absence and has since returned to teaching. He was expected to make significant changes to the way Harvard invests its endowment; University President Drew G. Faust said in September 2016 that the next endowment chief would reconsider the endowment’s investment strategies, and several experts recommended Harvard eliminate its idiosyncratic model. But less than two months into his tenure as the chief executive at the top of Harvard’s endowment, Narvekar has quickly started to spur a radical change in Harvard’s investment strategy—a choice experts say will push HMC in the direction of more successful investment offices. In the last few years at HMC, the need for change was, for some, palpable. 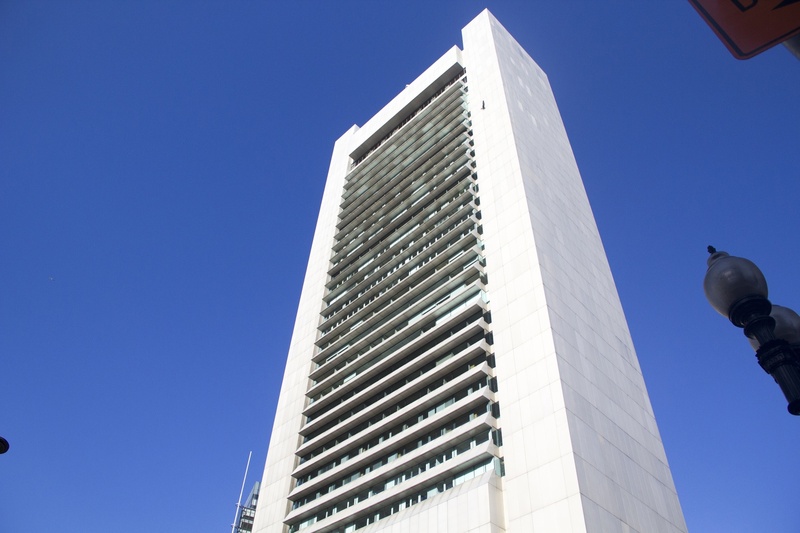 In fiscal year 2016, HMC posted negative 2 percent returns on its investment—the lowest return rate since the height of the financial crisis in 2009. HMC missed several internal benchmarks, and then-interim CEO Robert A. Ettl attributed “execution” as a “key factor” in the poor performance. Along with other financial flows, including the $1.7 billion allocated to the University’s annual operating budget, the endowment shrunk by nearly $2 billion. The losses, repeatedly characterized as “disappointing,” will constrain budgets across Harvard, according to University President Drew G. Faust. Beyond its lackluster returns, the firm’s employees also privately criticized HMC’s workplace culture as “lazy, fat, and stupid” in a 2015 internal review conducted by McKinsey and Company, accusing their employer of setting artificially low benchmarks and overcompensating its executives. 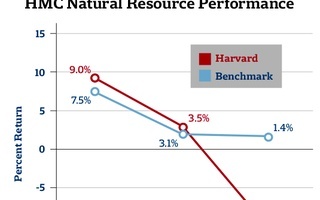 As a result, many have questioned Harvard’s hybrid investment strategy in recent years. For experts in investment management like Charles A. Skorina, the leader of a financial executive search firm, Harvard’s “hybrid” investment model made sense in the 1990s, before the financial crisis in 2009 laid waste to conventional wisdom for investment management. Columbia, like Yale, employes external managers to handle its funds and maintains a relatively small in-house staff. Though Columbia posted a modest -0.9 percent returns in fiscal year 2016, Yale—whose investment strategy some say Columbia has emulated—performed comparatively in a market that has lately been difficult for institutional investors. While HMC returned negative 2 percent on its portfolio in fiscal year 2016, Yale posted 3.4 percent, outpacing Harvard by more than 5 percentage points. 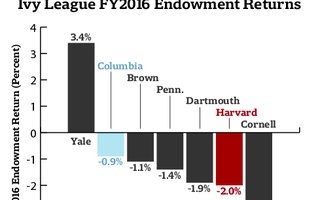 While Yale’s endowment remains smaller overall than Harvard’s—$25.4 billion against Harvard’s $35.7 billion—Yale’s returns have outpaced Harvard’s in eight out of the past ten years. According to Narvekar’s letter, HMC will switch over its direct real estate investments to external managers. The company will continue to internally manage its natural resources portfolio “at this time,”Narvekar wrote. Towards the end of 2016, HMC said it would “refine,” or sell off, some of its natural resource holdings—a change that comes after the company hired a new head of the natural resources division and fell far short of internal benchmarks for the asset class in fiscal year 2016. Still, Narvekar wrote, there is a possibility that Harvard may again employ more internal investment managers at some point down the line. While over 100 HMC employees will lose their jobs this year, Narvekar has also hired four new executives: a new chief investment officer and three managing directors to oversee the implementation of Narvekar’s new policies. Richard W. Slocum, who previously served as the chief investment officer of the Johnson company, will become HMC’s the first chief investment officer in March. Vir Dholabhai, Adam Goldstein, and Charlie Savaria will all join HMC as managing directors of the investment team. Narvekar also wrote that he intends to transition HMC’s strategy to a more “generalist” approach over the course of the next five years. The University’s investment arm will require all members of its team to carry responsibility for Harvard’s entire portfolio in an effort to refocus the company on “the performance of the overall endowment” rather than respective asset classes of HMC’s investment managers. In his message, Narvekar wrote that “silo investing” results in both gaps in HMC’s portfolio and the unnecessary duplication of assets. He wrote that the model creates an “overemphasis on individual asset class benchmarks” and discourages collaboration. William F. Jarvis, the executive director of the Commonfund Institute, said the change indicates a shift in “management philosophy” at HMC. “If you have a company that is basically a bunch of silos, a bunch of individual departments, then it’s the job of someone else—senior management—to put that together into a successful portfolio,” Jarvis said. The new model will make all of HMC’s portfolio managers responsible for the overall well-being of the endowment. HMC will also reevaluate its executive compensation structures, which drew criticism from Harvard alumni in late 2016. In the new compensation structure, executive pay will be tied to the performance of the overall endowment rather than that of individual asset classes. A previous version of this article misspelled the name of Robert A. Ettl, the Chief Operating Officer of Harvard Management Company.